Gail is an innovative leader in the field of Training and Organizational Development. She has over 20 years of experience combining both e-learning with leadership development to create high performing work teams. Using blended learning techniques, she is able to integrate all forms of training to develop knowledge and understanding inside individuals of what they are expected to do. Then by consulting with leadership she ensures the processes and systems are in place to increase efficiency and productivity and ensure that employees can easily apply this knowledge to their work on the job. Her passion is to develop managers into leaders and then into their employees’ coach, by focusing attention on how to best use an employee’s area of strengths. 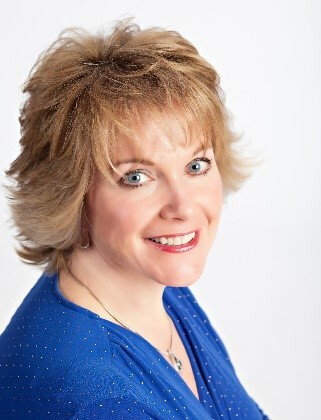 She has experience in the creation of performance management tools, high value employee identification, succession planning and extensive instructional design expertise. Gail has extensive leadership development experience working at United Airlines for over 25 years. The variety of her roles included direct interface with all of the front-line employee leaders, specifically emphasizing her experience with change management. She used her analytical skills to conduct needs assessments and then applied instructional design skills to develop the necessary programs that took the company through several major transitions such as becoming a global carrier and managing with fewer resources after a major reduction in flying as a direct result of 9/11. She consistently used project management techniques to lead several key initiatives including facilitating a strategic focus on the most cost effective ways to outsource and transition responsibilities between employee work groups as they exited from bankruptcy in 2004. How can you take your life and enhance it? How could you have made that task easier? The strength-based philosophy that she brings works best with those who are willing to risk betting their life on their strengths, because they also realize the risks of not doing so are far greater. She believes that using your strengths is the key to your personal engagement and success. Gail also possesses extensive instructional design and facilitation experience. There is always a focus on relating any training experience to a company’s bottom line. She is able to further coordinate and leverage team transformation and help companies achieve breakthrough success. With a special emphasis on executive coaching engagements, Gail helps a leader reach the next level in their career. She has worked with numerous clients including DeVry University, Bel Brands, Publicis Groupe: Resources, United Airlines, Alliant Credit Union, Sara Lee, PromoWorks, St. Luke's Medical Center, BP, Navistar and many entrepreneurs as they built their independent businesses. Gail’s work has been recognized as Editor’s Choice by Training Magazine in their Top 100 list. She was also featured along with others in the book Saving the Corporate Soul & (Who Knows) Maybe Your Own by David Batstone as he declared his eight principles for creating and preserving integrity and profitability without selling out in corporate America. Her chapter entitled “Valuing the Worker,” speaks to her belief that all companies should create a learning environment. Gail holds a B.S. from DePaul University in Chicago, Illinois. She is a Premier Success Coach for the eWomen Network organization and a member of the Human Resources Management Association of Chicago (HRMAC). She is also a long-standing member of the American Society of Training and Development (ASTD) and the Society of Human Resources Management (SHRM). Gail lives in the western suburbs of Chicago and likes tennis and skiing. She, her husband and two adult children enjoy water sports and are all certified scuba divers.